As a collaborative advocate for art song and new music, Elena has premiered the music of Julian Brijaldo, Dylan Findley, Peter Evans, Zachary Friedland, and Jared Hettrick, whose Songs on Fire was written expressly for her. She sang three concerts with the soundSCAPE Festival in Maccagno, Italy, and has enjoyed guest appearances with Kaleidoscope MusArt, Hispanic-American Lyric Theatre, and New American Voices. Elena also premiered the piano version of vocal-movement work Falling for Prepositions at Miami’s Zenith Art & Fashion, where she collaborated with dancer Claire Porter and composer Mary Ellen Childs. Elena earned her Doctor of Musical Arts in Vocal Pedagogy and Performance at the University of Miami’s Frost School of Music, where her research interests included mindfulness practice in the collegiate vocal studio and cabaret song. She received her Master of Music in Vocal Performance from the Longy School of Music of Bard College. 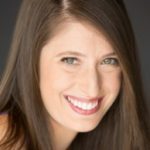 Elena currently maintains an active private studio, musical directs, and presents mindfulness workshops for singers.